← Flying Broom Day 1 – Off to a flying start! Far away, still feels like Home: Letter to the Motherland! 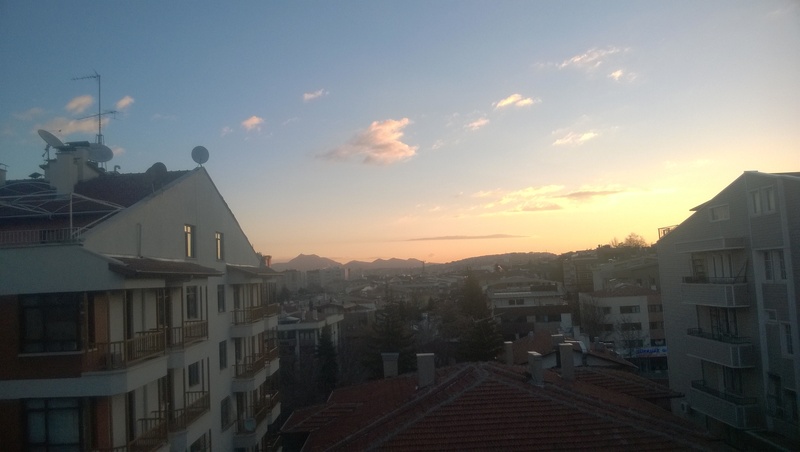 its 6 AM, 4 degrees C, the streets of Ankara are mostly depopulated. Its not cloudy so i can celebrate a beautiful sun rise. I know you are awake, and have got your day started already. I tell you that I do hear occasional sounds of cars passing by, but its still quite silent. Quite silent for someone who is used to waking up to the honking of horns, shouting of fruit sellers in morning. Its not quite that noisy as you are. But i assure you, its still quite the same as you in many other ways. i am not alone here, so don’t worry about me. SSC 2015 team is absolutely wonderful, i enjoy their company a lot. Everyone on the team is exceptional. We meet everyday, share what we are seeing, learning, and laugh at whatever we possibly can. We know what we are here for, and we know we can achieve it by helping each other. We are all from distant lands, far from you. But our mission unifies us. Around 96 hours after the touchdown in Ankara, and i feel like i have been here way too longer than that. Fellow SSC participants whom i have never met before, feels like i have known for years. Maybe that’s what makes this mission so special. As the feeling sinks in, as we understand each other better. It truly does feel like home. It feels like you. The same as i feel on your streets and with your people. I am doing well, and eating well too. I really enjoy taking a walk around the blocks here . I tell you, the earth below the feet feels the same as its there on your soil. The city lights are a little more brighter than its at our place. But the smiles on the faces are still the same. Yes Yes. now i know what you must be thinking, that the problems are not quite the same. But i tell you my friend, many of those really are. As the time passes by, i feel more and more confident about contributing back to the society in a way i want to. I will return with some wonderful memories, unforgettable experiences. We will sit down, talk and see how we can use those to help our own country men. You are far away, but i still feel like home. 7 Responses to Far away, still feels like Home: Letter to the Motherland!